Irving B. Sugerman is a partner in Brouse McDowell’s Real Estate and Litigation Groups. His practice includes all facets of land use planning, zoning, economic development, real estate, and business litigation. 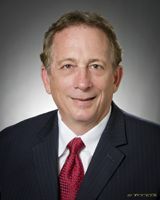 Through his years of litigation and trial practice, Irv has become a leader in governmental law and litigation, as well as mediation and alternative dispute resolution. He is a graduate of Marietta College (BA, 1978) and The University of Akron School of Law (JD, 1982). Click here to see Irv’s complete biography.